Maggie Pi said so. Maybe tomorrow. I still need to finish the door draft thingy. I finally found tiny locking bags to put the poly-pellets in. I need to fill eighteen of those little suckers. I hope I have enough. Then, there’s the hand sewing. Will they be ready for Christmas? Not if I get any more cat help. My new gloves. 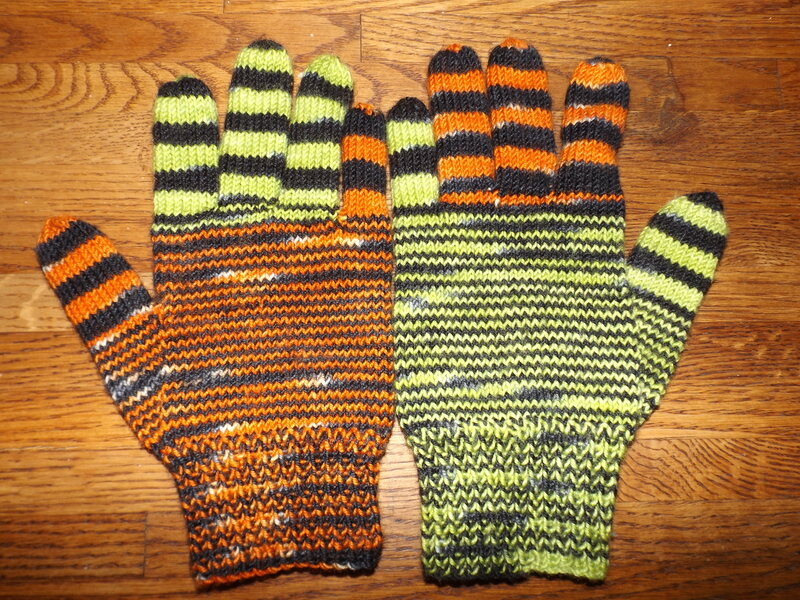 I love to knit gloves. It’s the only way I can get them to fit. And, of course, switching colors like these if so much fun. There was just enough yarn left to make a hat. 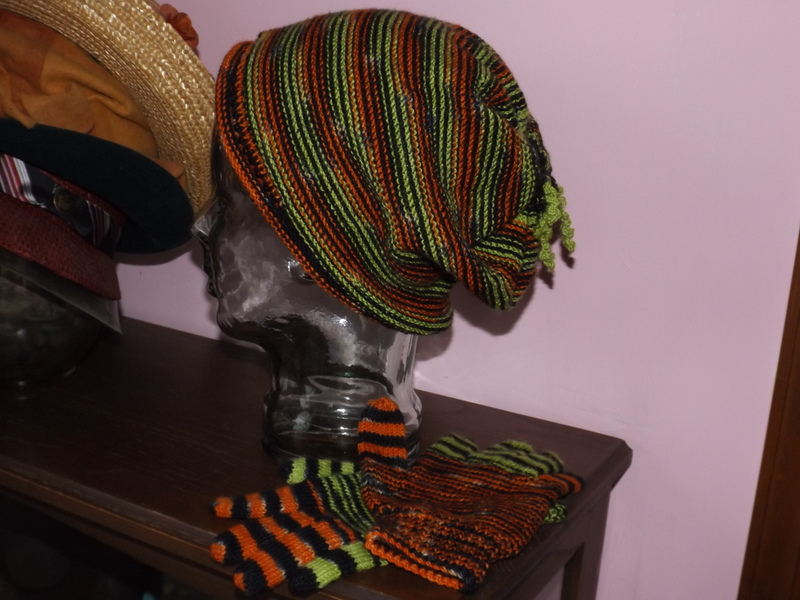 The main part of the hat is reverse stockinet with changing yarns every row. I used the last of the yarn to make a few worms. I’m very happy with it. I should write down the pattern before I forget. 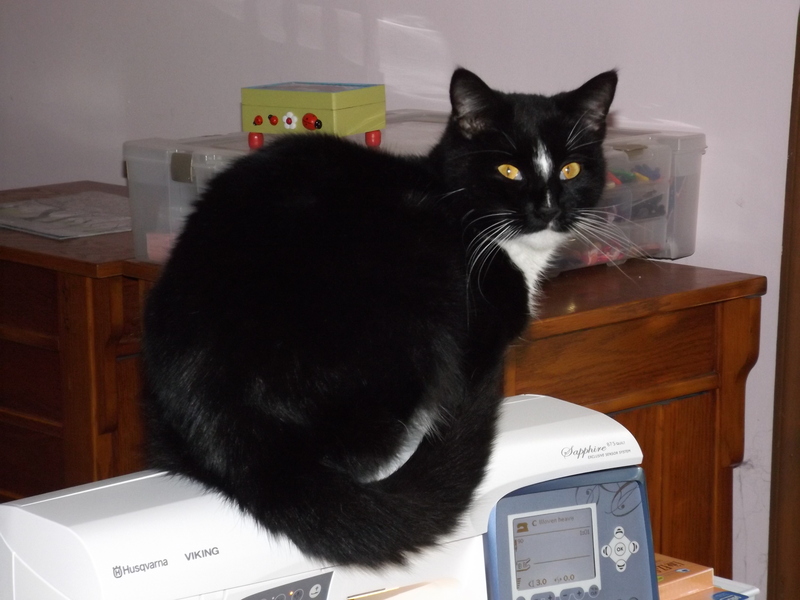 This entry was posted on December 19, 2015 at 9:00 pm and is filed under Knitting, my pets, Sewing. You can follow any responses to this entry through the RSS 2.0 feed. Both comments and pings are currently closed.